The Citrix Summit and Citrix Synergy annual industry conferences are strategic pillars for Citrix Systems. Partners and customers travel from around the globe to these events to explore the ways in which Citrix’s newest advances can help them realize their business goals. When the Citrix Events team needed a solution to help ensure top Citrix XenApp and XenDesktop performance for all live product demonstrations, they chose eG Innovations, again and again. Citrix Systems relies on eG Innovations’ technology to ensure a great user experience. You can too. 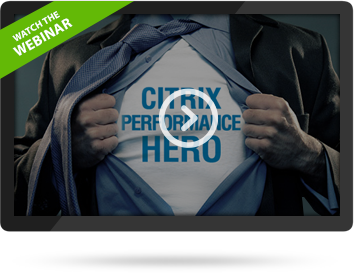 There is no more complete and efficient methodology to ensure sustainable Citrix performance success. Traditional Citrix monitoring solutions offer XenApp and XenDesktop operational metrics and statistics – at varying levels of detail – for your team to analyze and correlate. But when users are complaining about slow performance, login problems and lost productivity, it quickly becomes clear that Citrix metrics and statistics alone are not enough to drive consistent user experience and business success. You need intelligence: Comprehensive, correlated insight into all Citrix tiers, plus unified cross-tier visibility across the rest of your infrastructure, all from a single integrated console. SPEED: Exclusive Correlative Intelligence technology does the work for you. Instead of sifting through metrics and statistics, you see immediately actionable answers: Exactly where problems originate, and all affected dependencies. Deliver a Great User Experience, Every Time. Only eG Innovations offers the performance intelligence required to get maximum ROI from your Citrix investment and allow your organization to realize the full potential of a modern, virtualized infrastructure. 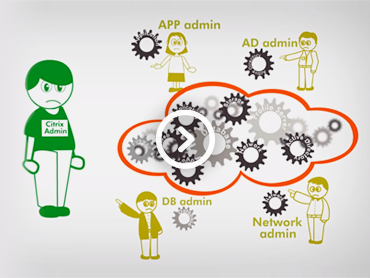 Solve the biggest challenge for today’s Citrix-driven enterprise. Test drive eG Enterprise today. eG Enterprise is the exclusive performance monitoring solution for on-site physical and virtual infrastructure systems driving Citrix Summit 2019.